Thermal management is a highly specialist area where a wide range of factors are crucial. Our highly experienced design team are experts in crafting solutions to the most challenging of specifications. Each of our products is a complex mix of components that need to be designed to work in harmony with each other; that’s exactly what we do, leaving you with one less problem to solve. Finite Element Analysis (FEA) is a computerized tool used to understand complex structural behaviour under the exposure to a number of different physical effects (pressure, temperature, vibration, etc). 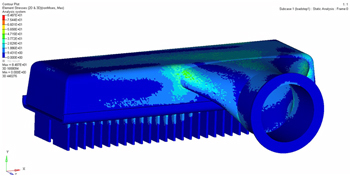 GTS use FEA to study how the design parameters affect durability of heat exchangers, enabling development and diminishing likelihood of failure. 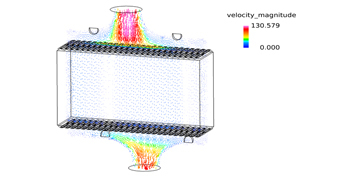 Computational Fluid Dynamic (CFD); is used to analyse the fluid behaviour in heat exchanger in a visual mode, and how this behaviour can benefit the temperature distribution throughout the heat exchanger. 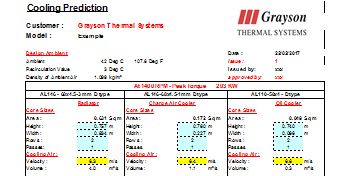 GTS conduct thermal calculation based on real wind tunnel data, the results then are not based on experimental data, and therefore GTS can accurately predict thermal performance of their range of heat exchanger.